Most living organisms – animals, plants, fungi, and even some types of bacteria – have an internal clock, a circadian clock that orchestrates the biochemical, physiological and behavioral functions in each cell according to a 24-hour day-night cycle. This clock regulates sleeping and waking, hormone levels, body temperature, heart rate and blood pressure, among hundreds of other factors. Our lab is studying how circadian clocks influence the repair of DNA in the cell – a natural process in which a team of enzymes travel along the DNA fixing breaks and errors caused by damaging effects of UV radiation and DNA-altering chemicals. Without these ever vigilant enzymes, our cells would accumulate mutations in our DNA that would lead to cancer and other diseases. Understanding this relationship between our body rhythms and DNA repair is important because there is mounting evidence that malfunctioning clocks are linked to conditions from obesity and epilepsy to insomnia and seasonal affective disorder. In the Sancar Lab, we have been exploring how the circadian rhythms influence DNA repair during treatment with the popular anti-cancer drug cisplatin. Cisplatin is used to treat most solid tissue cancers including testicular, ovarian, colorectal, lung and breast cancers. It kills cancer cells by damaging their DNA. However, it also damages DNA of normal cells, causing serious side effects that often force physicians to halt the treatment. Both normal and cancer cells repair the DNA damage caused by cisplatin. Successful treatment requires hitting cancer cells with DNA damage when they are least capable of repairing it, while sparing the healthy tissue. In the past few decades scientists have attempted to use the circadian clock to guide the timing of cisplatin therapy. Their strategy was to give cisplatin at particular times and then monitor how the patient fared, thus revealing a time of day that yielded the greatest benefit with the least side effects. However, these experiments failed because the choice of times was somewhat arbitrary and not based on what was happening inside the cell. When I (Yanyan) joined the lab a few years ago, Dr. Sancar's team had figured out the connection between the circadian clock and DNA repair and developed a method to monitor how and when particular segments of DNA were repaired. I used this technique to chart when DNA in the kidney and liver cells of mice was repaired as we treated the animals with cisplatin for 24 hours. In this study, we recorded when and how well every one of the 25,239 mouse genes was repaired during a 24-hour day. We discovered which cancer-causing gene, or which cancer-preventing gene, is fixed when the drug is given at certain times of the day. Some genes were always patched up at dawn; others at dusk. That suggests the best time for chemotherapy is when the healthy cells can efficiently rebuild their DNA and when the tumor cells repair poorly. With this knowledge in hand, we hope to extrapolate our findings to human tissues and cancers and find the optimum times to give patients their therapy. 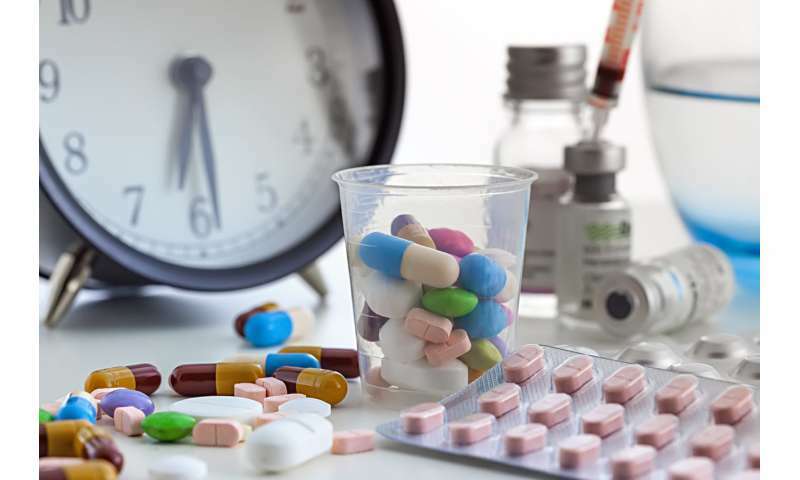 We hope this will help us develop a personalized chemotherapy regimen with cisplatin, which we're calling chronochemotherapy, that synchronizes the delivery of the drug with their, and their cancer's, circadian clocks. Our approach takes into account the repair patterns of individual genes over the course of the day both in healthy tissue and in cancer. With further testing, we hope to determine whether cisplatin chronotherapy can improve survival in cancer patients.